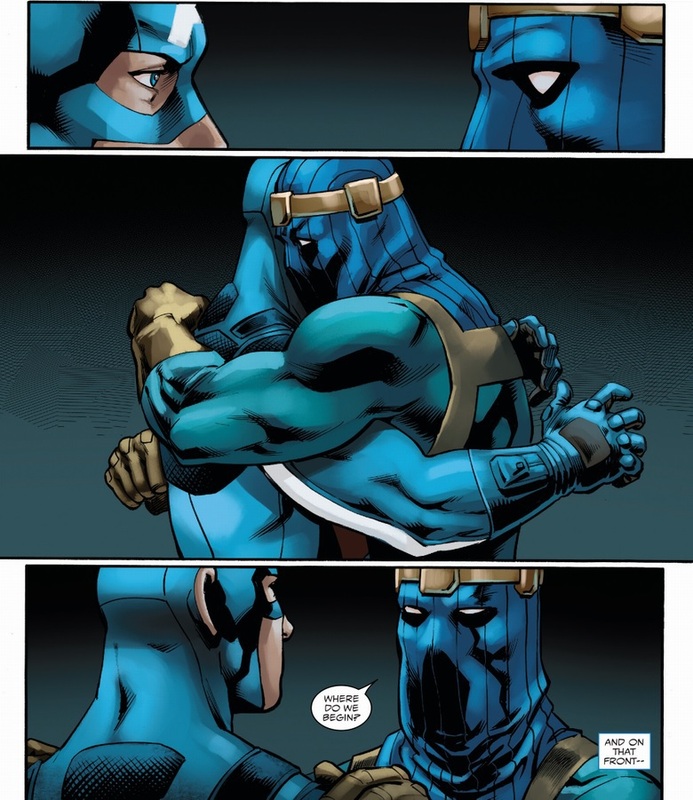 That page with Cap and Zemo might be the slashiest thing to slash this year. Honestly, the bigger twist is that they didn't kiss. ... does anyone hear a power ballad playing? No? Huh. This is not how I expected #GiveCapABoyfriend to play out. 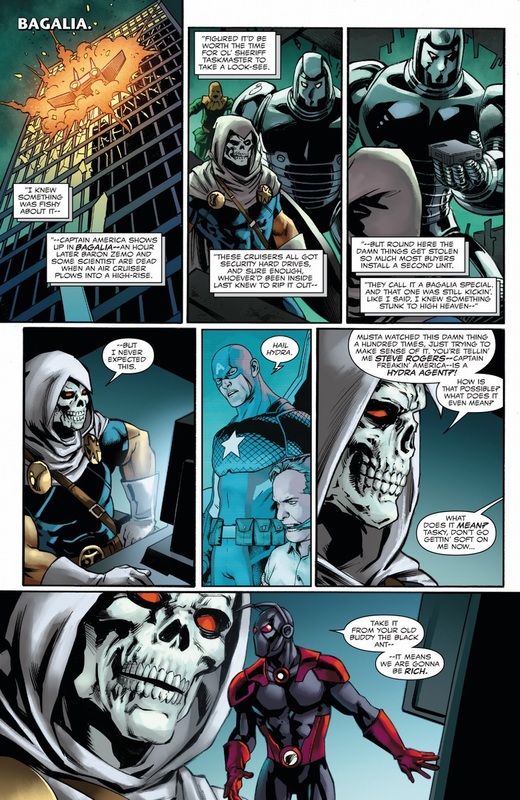 Is it weird that I am super happy Taskmaster has a friend? Also Helmut maybe getting a path back to the character he was before the Bucky!Cap stuff was forced on him would be great to. Yeah, don't care for the bootleg either. Is this O'Grady 100% robot? I never finished SAso I never saw how that plot point was resolved, I thought he was a cyborg made from Eric's body. After dying heroically in that series, he was replaced by a full-on evil LMD. The continued use of him as the Black Ant feels like shitting on his sacrifice. He might have been a reprehensible jerk, but he still went out as a good guy. Oh. Yeah, that is kinda weird. He had a pretty good death, thematically speaking. Is weird they keep a fake him around just to be a villain. He still acts like the original and has all his memories. 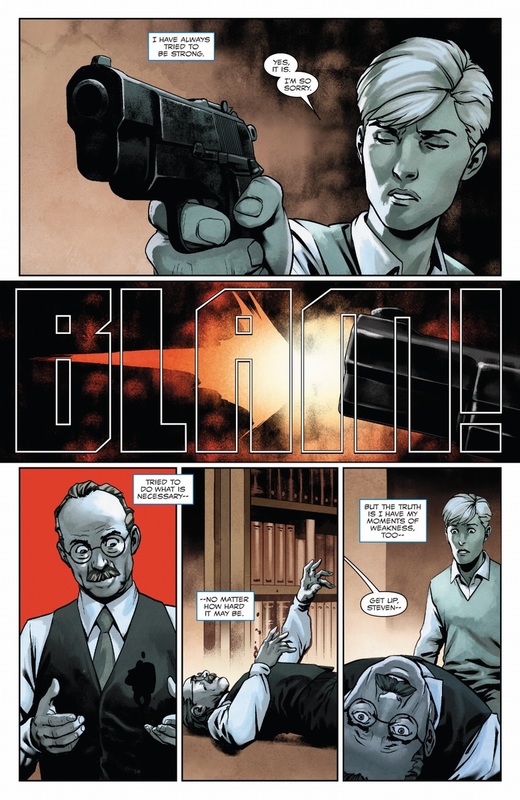 Plus it makes sense Taskmaster would prefer this version of O'Grady. And O'Grady was called irredeemable for a reason. If it's weird we can be weird together. 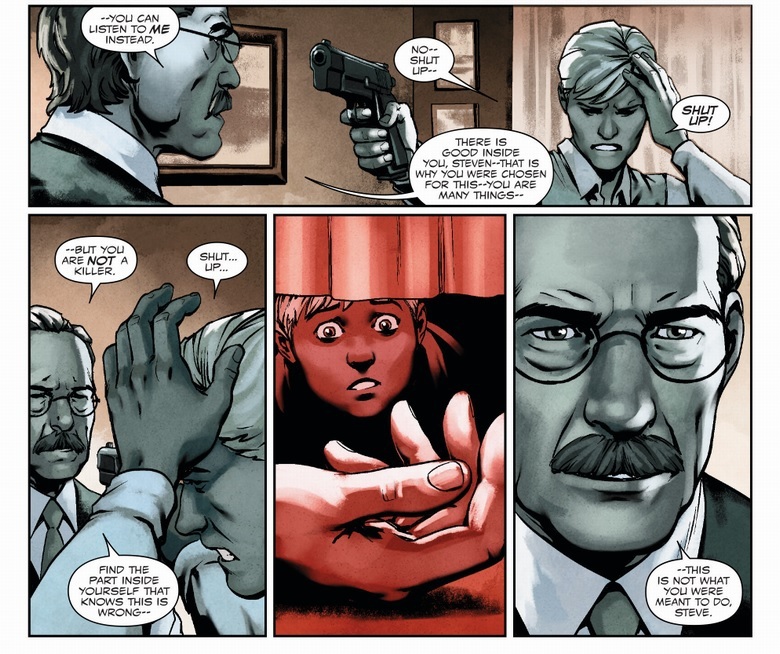 I still miss Tasky's interactions with Alex and Sandi in Agent X. If Zemo isn't just playing along to find out whats going on, I shall be cross. Why would he play along? This is what he wants. Welp, with Hill now knowing, the jig is officially up. 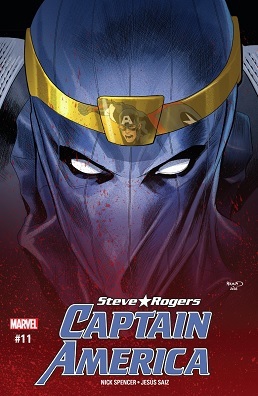 I find it hilarious that the reveal quote is what also ended up screwing over Steve's cover. 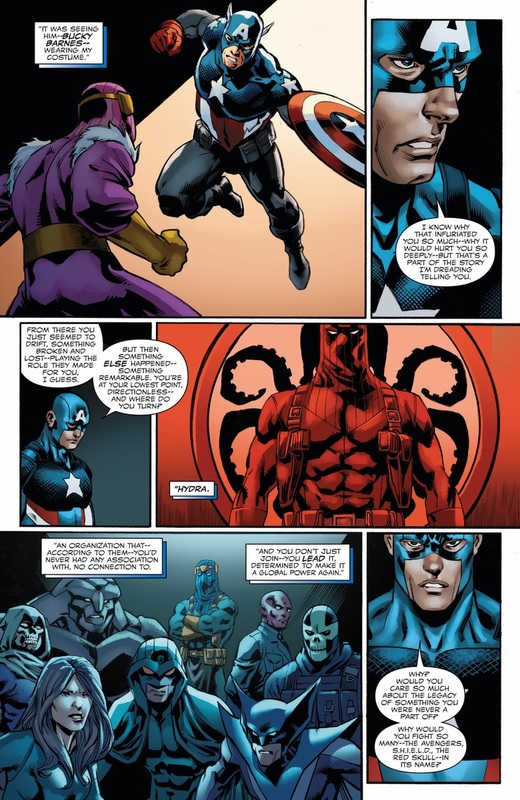 Barely 11 issues and someone already found out about Hydra!Cap. 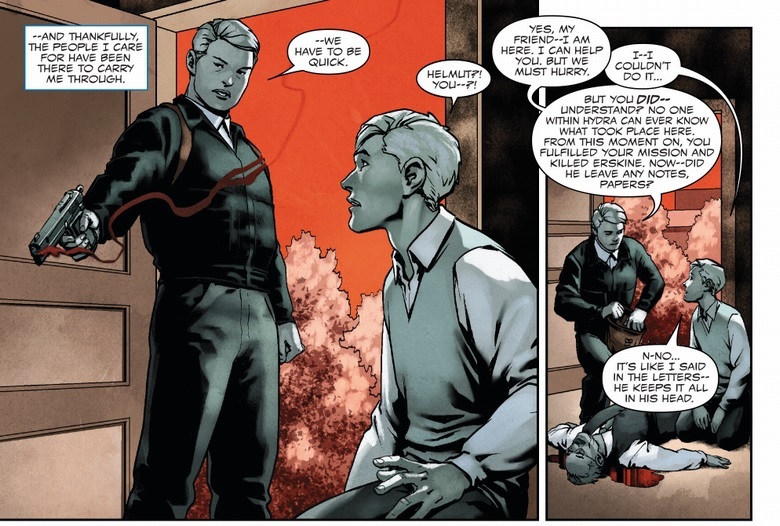 Of course, I imagine this was kind of the Red Skull's plan - either Steve being a Hydra agent works out, or he gets outed and gets jailed/killed as a result. Either way, no more Steve Rogers getting in the Skull's way. Does Hill know? I mean, have we gotten to that point yet? I thought the above took place before they met with her, when they realized what they had. 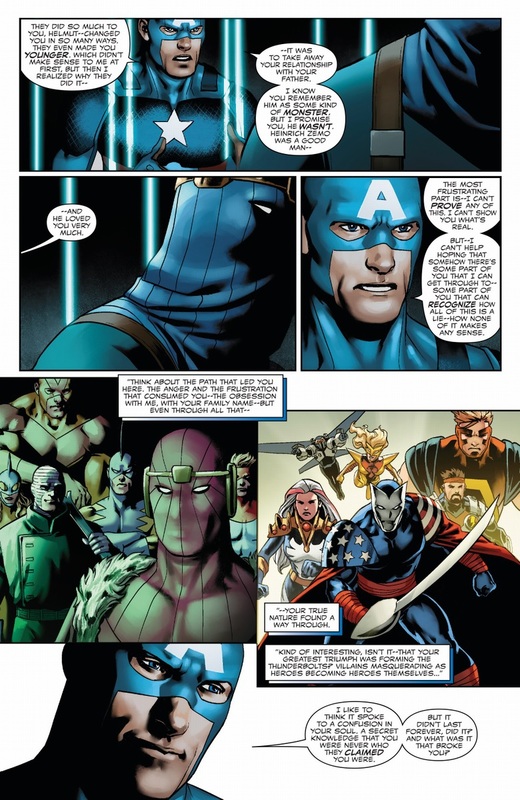 Really liked that Cap/Zemo bit, though. 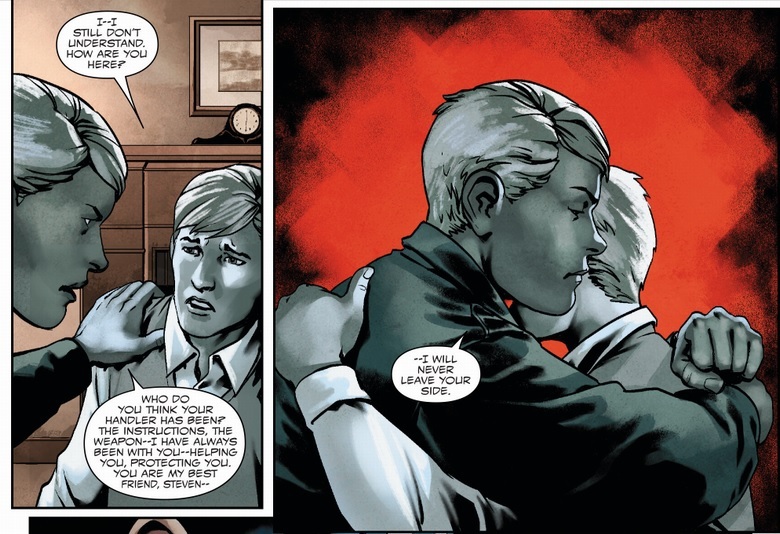 Yeah, Maria doesn't know what it is -- she says "This whatever it is you think you have" -- and she goes off to negotiate arms deals, then shows up at the meeting place, but Elisa Sinclair/Madame Real Hydra has already grabbed them. So they're the only two who know, besides Selvig and Zemo. Or Kobik sends everyone to the cornfield for messing with her toys. 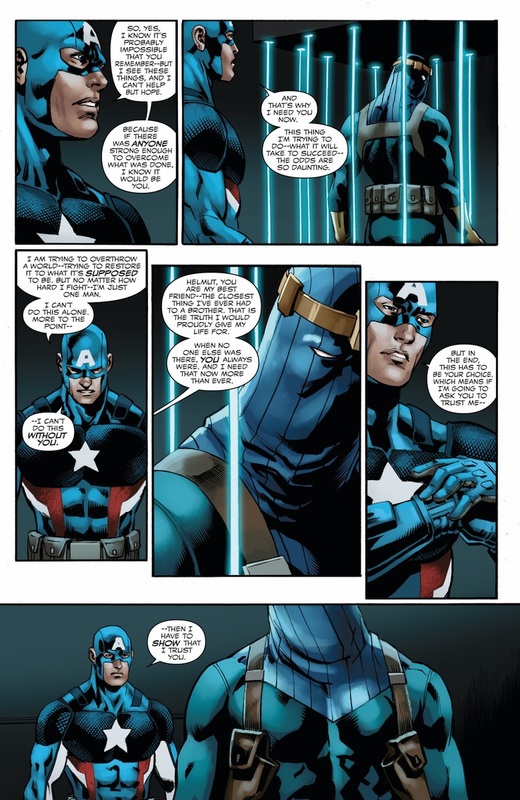 I choose to believe Zemo is totally going along with Steve here so he can get five minutes of peace and quiet sitting in a chair without being monologued at every day. And also how he can best turn this to his advantage. Given Zemo hated his old man for monologuing every hour of every day, that sounds pretty in-character for him.